Customised coasters are perfect for adding a special touch to your coffee table and they also make thoughtful gifts for loved ones. You can create coasters for style, practicality or simply fora laugh! 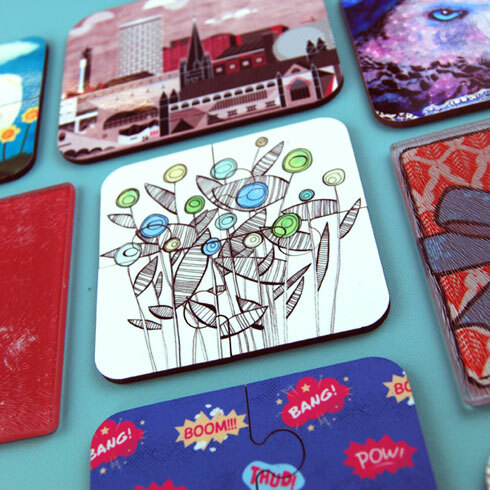 If you need some inspiration for creating your own, we have 4 ideas you can use to design your own coasters. We don’t like anything boring at Zippi, which is why we work with talented artists and give them a platform to sell their artwork. 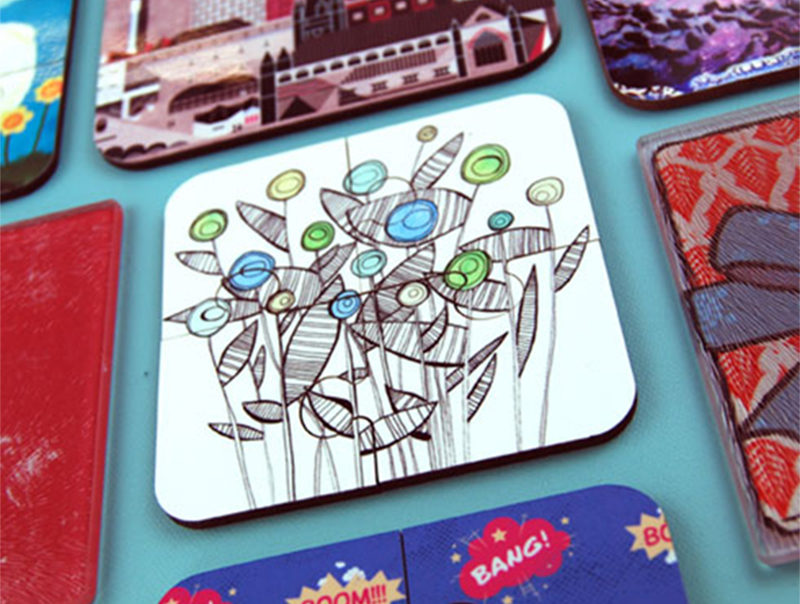 Print a unique art design on your coasters to add some personality to your home. Our collection includes various different themes, including animals, floral, pop art, vintage and retro. 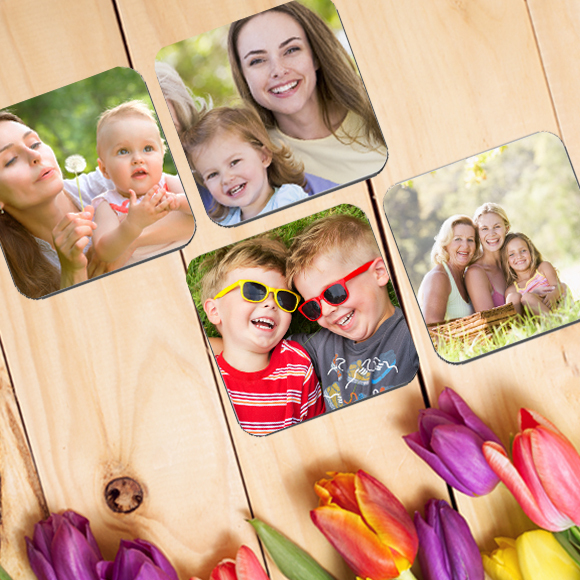 We offer personalised photo coasters in sets of 4, so you can design your own coasters in bulk by uploading images of each member of the family. This way, everyone in the house can have their very own coaster and it’ll definitely make it harder for other people to pinch your stuff! For people who get bored easily and need something to keep them occupied, a jigsaw coaster can come in handy – especially with kids! 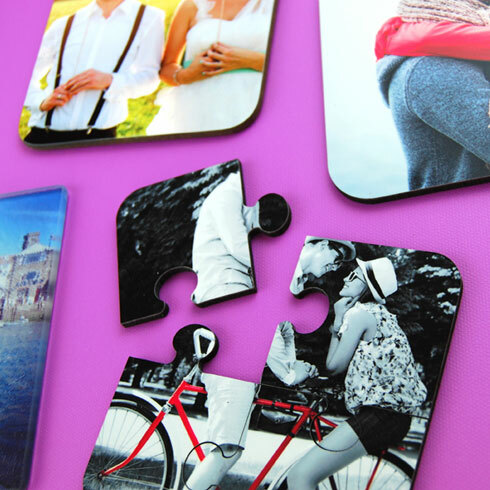 Our jigsaw coasters come in 4 interlocking pieces and give your chosen design a bit of extra oomph. Can’t decide on just 1 picture to display on your coaster? 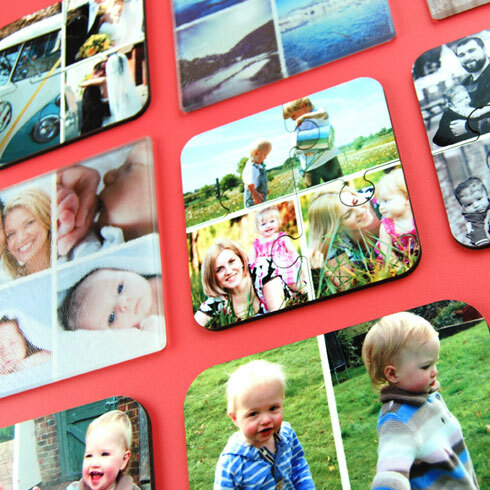 You can print up to 4 images on our photo montage coasters and show off several special moments you don’t want to forget.Design your coasters with sentimental photos to cherish your favourite memories, or downright embarrassing ones to remind friends and family of humiliating events! Feeling inspired now? Go ahead and design your own coasters! Why not personalise your own mug to go with your snazzy coasters while you’re at it?